Navaratri season is over and soon this great housing festival is going to end. This lucky draw consists of 3BHK apartments as a part of lucky draw, which is will held on 15th October, 2017. But the last date for the entries is 5th October you have just 3 days to participate. This scheme is offering 25% Cash Back of the value of the apartment at the time of possession. The ample value of the apartment has risen up with this offer. Collect a form from SBI Bank branch, fill it up and stand a chance to own an independent floor. The project is RERA approved so the project is safe and worth investing in. Hurry up!! 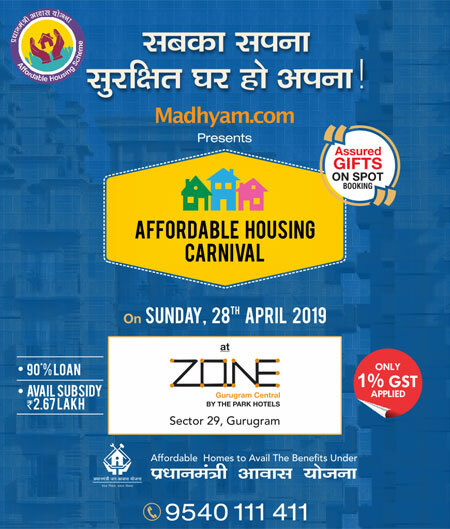 Do not miss a chance to participate in this huge housing festival. Remember, to claim this offer, one female applicant is mandatory. Last 3 days left, Participate!! !